What is Voki Presenter? Why should teachers use it? What can I do with Voki Presenter? How do I get started? All of the questions above are answered in Part I, accompanied by visuals and information to help distinguish the difference between our Voki, Voki Classroom and Voki Presenter. Here is everything you need to know about how to get started with Voki Presenter. You will learn about the interface, as well as how to use some of the available tools to make logging in quick and easy. As a Voki Presenter user, you are able to get unlimited e-mail support from our dedicated Support team (only available to Voki Presenter users). 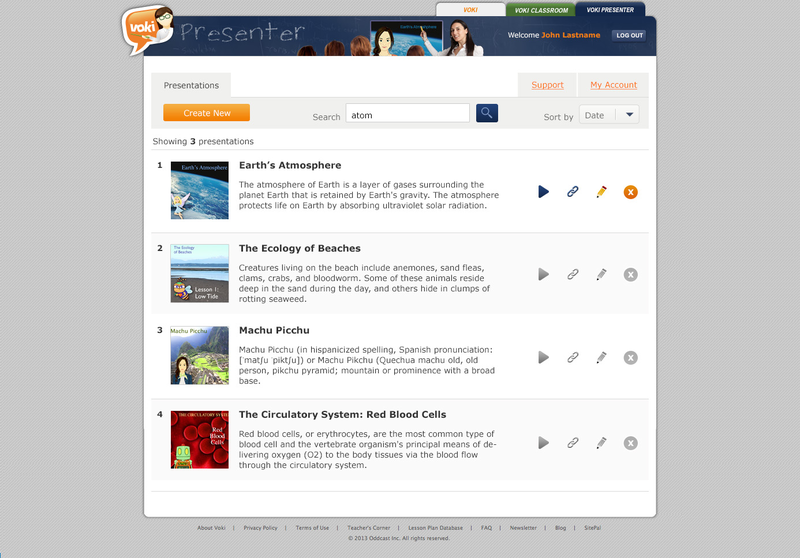 By taking advantage of the support tab in Voki Presenter, you won’t have to wait to get the answers you need. One of our support representatives will get back to you promptly with an answer! Next up is everything you need to know about using Voki Presenter. Here, you will learn how to create your very first presentation and how to edit the presentation. Part II takes provides you with step by step on how to get your first presentation set up and how to share and present it! Last but not least, our guide takes you through the process of using the Voki Presenter editor. The Voki Presenter editor is where you create actual presentations by adding Vokis, text, and images. One of the advantages of using Voki Presenter is that you no longer need to go through the tedious process of adding a Voki to your presentation. (If you want to know, take a look at this post here.) The guide will show you how to do all this, as well as other tricks, such as duplicating your slide and Vokis. Voki Presenter is easy and fun but if you have any questions, keep in mind that you have the Voki Presenter User Guide and unlimited e-mail support to help you out. 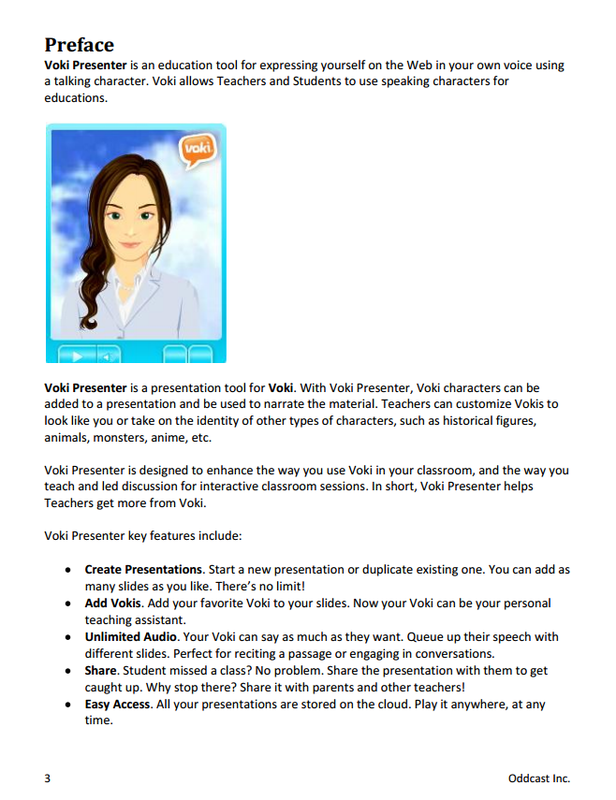 To view the Voki Presenter User Guide, visit Voki.com and click on the Learn tab. There, you will find the User Guide among many other useful tools to help you get the most out of your Voki experience.